Top > Foreign Policy > Global Issues & ODA > Official Development Assistance (ODA) > Japan's ODA White Paper > 2012 > Stories from the field > Affordable Refrigerators for the People at the Base of the Pyramid Made in India "ChotuKool"
Affordable Refrigerators for the People at the Base of the Pyramid Made in India "ChotuKool"
India has been undergoing rapid economic development, but the manufacturing industry is lagging behind in terms of its portion of gross domestic product. The country faces the pressing challenges of expanding the manufacturing industry, which has a high rate of labor absorption, and developing human resources capable of high-level management to achieve such expansion. Sensing the urgency, the Indian government made improving the competitiveness of the manufacturing industry a core policy and requested assistance from Japan. Then, in 2006, Japanese and Indian heads of state came to an agreement to launch "Visionary Leaders for Manufacturing (VLFM) Program" as a joint national project. This was India's first project on which industry, government and academia collaborated, and it served as a business school for developing leaders charged with transforming the manufacturing industry. The Indian government asked JICA to launch the program, and JICA obliged in 2007 and chose Shoji Shiba, Professor Emeritus at the University of Tsukuba, as its Chief Advisor. Professor Shiba had researched and taught business administration at the Massachusetts Institute of Technology in the United States. He is a foremost authority on Breakthrough Management, by which groundbreaking business is created amidst turbulent social conditions. "Those involved in India came to persuade me to take part even long before the project started," he said. "I was moved by their dedication to their country." The program teaches the essence of Japanese "monozukuri" (way of manufacturing) with the aim of developing human resources capable of overcoming difficult circumstances and bringing innovation to fruition in the field of manufacturing and development. 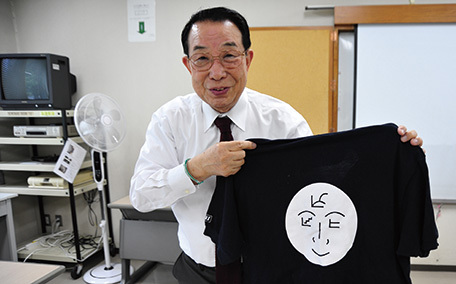 Professor Shiba believes that people go out into the field and experience things for themselves so that they can learn by doing so. "If you want to know about goldfish, jump into the fishbowl," he says to encourage students to change their way of thinking. "VLFM merely provides a learning environment. Indian people need to jump in and swim by themselves, to see things with their own eyes, to look inward to find out what they have learned. If they do this, they will see another new fishbowl. This is how one should learn in a true sense." One of the learners of this program, G. Sunderraman, the vice president of major Indian corporation Godrej said, "VLFM taught me to change my viewpoint. I learned to reject my desire to act in self-interest and strive to contribute to society with a feel for the greater good." Over one billion people in India are at the base of the pyramid (BOP) and cannot afford to buy refrigerators. 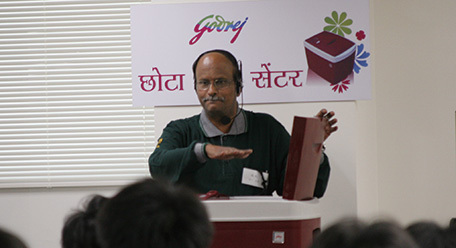 Godrej developed "ChotuKool," a 43-liter mini-refrigerator that embodies the learning from the VLFM Program. ChotuKool refrigerators can maintain an inner temperature between 5°C and 15°C, allowing people to cool drinks, store vegetables at home without damaging them and cut down on living expenses. It is possible for independent storeowners to sell cold drinks. They cost 3,500 rupees (about 5,300 yen), which is roughly half of traditional mini-refrigerators' cost. They require only a 12-volt power supply and can run on batteries or solar power, meaning that people in off-grid rural areas can use them. In the developing process of ChotuKool, Godrej personnel frequented rural areas and spent much time with people at the BOP to gain a deeper understanding of their lifestyles. They also incorporated the opinions of female entrepreneurs near the BOP into the making of this product. To establish distribution routes, they used the postal distribution network and built a sales network through the female entrepreneurs. ChotuKool is already being sold in Southern India and is slated to go on sale throughout India in 2013. Mr. Sunderraman explained the significance of Professor Shiba and the VLFM Program to the development of ChotuKool: "We learned to 'jump into the fishbowl' from VLFM. That helped us discover potential demand in a difficult environment with poor infrastructure and insufficient consumer education. We want to continue to keep that 'third eye of the Buddha' open and looking into the unforeseen future, as Professor Shiba trained us to do." More than eight hundred people have already passed through VLFM. Professor Shiba has hope for what the program can bring to India's future: "ChotuKool represents India's attempt to establish its own manufacturing industry. I want India not to focus on copying Japan or the United States, but to go beyond what they have learned and create India's own management style."